Production Technician is assigned to certain parts/processes each day according to their skills and abilities and then required to detail the components to lay-up, build and assemble the part(s) to build the boats. Will use cutting tools, heat guns and measuring equipment as necessary. Must be able to follow established methods and procedures. Ability to use cutting tools and standard measuring equipment. Ability to read, comprehend and accurately follow detailed work instructions. Light to medium physical effort to frequent lifting of lightweight materials. Safely & correctly use a variety of powered & manual hand tools, motorized hoists, and other equipment used in the production process. Perform or assist in machine operations to set up and service molds, monitor instrument controls, check product quality, and make adjustments as required. Maintain work area(s) and equipment in a safe, clean, and orderly condition. The employee frequently is required to stand; walk; use hands to finger, handle or feel; and reach with hands and arms. The position involves sitting, walking and lifting less than 40 pounds for short periods of time throughout the day. This is a full-time position, and hours of work and days are Monday through Thursday, 5:30 a.m. to 4:00 p.m.
Benefits: Job offers a 4 day work week! Wenonah Canoe offers a comprehensive benefits package to include: health, dental, and life insurance, 401K options, and paid time off. 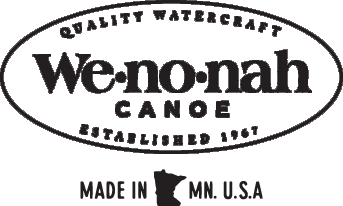 Wenonah Canoe Inc. is an equal opportunity employer and is committed to building a team that represents a variety of backgrounds, perspectives, and skills. All employment is decided on the basis of qualifications, merit and business needs. To Apply: Please contact Human Resources to submit your resume to nicolev@wenonah.com. We also welcome walk ins!